Product #18714 | SKU LP36307 | 5.0 (based on 1 rating) Thanks for your rating! 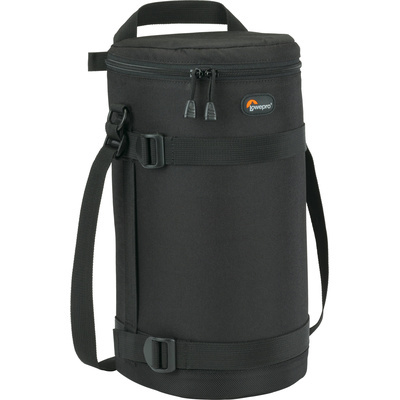 The black Lens Case 13 x 32cm from Lowepro is named for the dimensions of lenses it fits. For example, this lens case fits a lens up to 13cm in diameter by 32cm in height. A great lens case, fits the Tamron 150-600 lens perfectly, I love the little pouch in the lid as I can carry an extra lens cloth as well as secure the lens cap.